Comments Off on Could Hong Kong’s open API revolutionise trade finance in the city? The Hong Kong Monetary Authority (HKMA), the de facto central bank, has launched an open API framework for banks, and made its own open API available. The move brings open banking to the city, an initiative which was implemented into law in the UK earlier this year and is now gathering momentum around the word, enabling new players to challenge incumbents. Through the HKMA’s API, approved third parties will be able to access 130 sets of financial data. The regulator has also set commercial banks deadlines ranging from six to 15 months to make their own data available. The essence of open banking is that it gives customers the power to share their own banking data with other companies – be they payment firms, fintechs or alternative lenders – which for years has laid unused in banks’ ether. This information is stored in a virtual socket, into which third parties can plug, with the customer’s approval. The data can be extracted and used to provide services to rival or augment those of the banks. Some are suggesting that it may make less innovative banks completely redundant, particularly in a sector as old-fashioned as trade finance, where most processes are still paper-based and where the most incremental improvements are hailed as groundbreaking. “People are worrying about tiny innovations that make things slightly better, when actually the likes of Paypal, Google or Facebook are going to remove the problem entirely. It will boil down to a question: is trade finance a necessary service, or is it a fix, on a fix, on a fix that could be swept away entirely?” asks Louise Beaumont, the co-chair of open banking and payments at techUK, a lobby group for the technology industry in the UK. Speaking to GTR, Beaumont suggests that the HKMA’s initiative may open the door for tech titans to move into the trade finance space, providing services such as direct lending and invoice financing. It may also allow behemoths in sectors such as telecoms and energy to offer integrated services, creating an existential worry for banks which lack innovation and efficiency. “My sense of it is that if you’ve lost the ability to innovate so completely that you haven’t had an R&D budget for decades, you’ve lost those genetics – you’ve atrophied. If you are genetically engineered without imagination, and the skills you need to survive now and in the future are imagination, creativity and courage, you tell me which banks have that at a board or executive level,” she adds. It’s understood that tech giants around the world are already working on applications that can plug into the banks’ APIs. In Hong Kong, giants such as Alibaba and Tencent, which have made successful forays into financial services, in particular e-commerce-based trade finance, will surely be eyeing the sector hungrily. 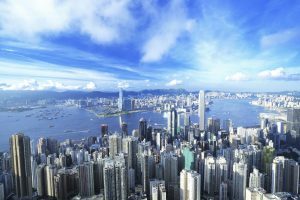 Hong Kong is the latest in a series of jurisdictions to introduce such an open banking programme. The Monetary Authority of Singapore has plans to make its own data available through an open API initiative, while the UK’s open banking standards entered force in January of this year. For fintech companies that have been working to innovate the trade finance process, this could potentially act as a leveller, removing some of the competitive, data-led advantages large banks have had for years. Andrew Coles, head of banking solutions for Asia Pacific at Finastra, one of the world’s largest fintech companies, says that the benefits of open banking are becoming evident in trade and supply chain finance, having initially been focused on retail products. “Full digitisation of the trade finance value chain has been a goal for many years. However, the advent of new technologies, such as artificial intelligence, robotic process automation and distributed ledger technology, combined with the increasing market adoption of open APIs, means we are closer today to reaching that goal than ever before,” he tells GTR. Coles, who confirms Finastra’s plans to plug into HKMA’s open API, adds: “Never before has there been such a spotlight on the area of trade finance, with such a wealth of companies looking to innovate at all levels of the physical and financial supply chain. This level of investment can only be a good thing, and will surely lead to the breakthroughs the industry requires to modernise.” The HKMA claims that the move will make Hong Kong’s banking sector more competitive. The special administrative region of China is one of the world’s largest banking hubs but has arguably lost its edge in recent years. At a recent press conference in the city, head of macroeconomic research for Euler Hermes, Ludovic Subran, said that Hong Kong was no longer the hub of financial innovation it once was. “I remember years ago, when I started in trade finance, bankers were sent to Hong Kong to learn how to structure. That is no longer the case,” he told reporters, bemoaning the inertia of the city’s dominant banks. Arguably more than any other large Asian city, Hong Kong is dominated by big banks. The fintech scene may be buzzing, but it is still nascent. In the invoice financing space, a number of startups have caught the eye in recent months, but there is nowhere near the volume of platforms that you have in Southeast Asian cities such as Singapore, Manila and Jakarta. Whether the HKMA open API will change this remains to be seen, but for supporters of the movement, it is being viewed as a step in the right direction. The post Could Hong Kong’s open API revolutionise trade finance in the city? appeared first on Global Trade Review (GTR).